Hey wassup, guys… James here. Today, I’ve decided to share something I’ve been working on for the last 6 months. As it goes, it’s something I use to do a few years back, but I kinda got distracted and I ended up getting sucked into the whole email marketing thing as it was – and still is – an insanely profitable way of making money online. What’s really cool about it though is that they only take an hour or two to throw up… If that. In fact, I’ve got it down to such a fine art, it now takes me about 20 minutes to build these websites from start to finish! Not only can you knock up one of these sites in a snap… But they only require a handful of traffic to make them wildly profitable. As it goes, I got just 71 visitors to one of my sites yesterday, yet I made $193 in affiliate commissions! And that’s just one site… I have many of these little sites bringing in similar amounts of money – all getting tiny handful of traffic everyday. So yeah, it’s a mega powerful, yet simple strategy that’s working really well for me. In fact, I would say it’s in some ways… It’s A LOT easier than it was before. I will admit – it doesn’t bring in as much money as email marketing, but if you want something that you knock up in no time and it starts generating you a passive income that’s totally hands-free… Then this is definitely worth checking out. Free $688 a day video course <== Someone made $25,000 in 30 days doing this! 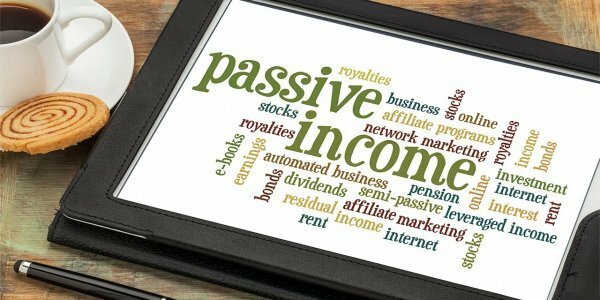 Because the link I’m about to give you, will show something that makes me FAR more money, in fact, it makes around $1000+ a day online of TRUE passive income. Yup, that’s right. Once you setup what I’m to show you… This will bring in money around the clock…Whether you’re sat at the computer or not. …And all you’ve gotta do is follow the simple instructions right here. Now if you want my MOST powerful strategy to generating massive amounts of wealth online passively… Then you watch my video down below… Enjoy! Recently grabbed your Evergreen Wealth Formula as well and I have to say I am loving everything about it. It’s probably the best training I’ve ever had, and believe me… I’ve bought a lot of courses in my time. It’s actually surprising just how how you make money with it too. For example, I’m just 2 weeks in and I’m already making money everyday with it… It’s just awesome! Keep those videos coming anyway James. You’re now my “go to” guy when it comes to anyway internet marketing. Glad you’re enjoying everything I send you, Mark… I try to share as much knowledge as I can because I know what it’s like when you’re starting out with internet marketing. It’s a very overwhelming subject, yet despite that, there’s very little help out there… Everyone is trying to sell, sell, sell all the time. Keep it up anyway, Mark, it’s just a case of scaling it up now. What you teach in the video is something I would love more info on. Do you have a course on it? I would definitely buy it if you do. It’s basically a complete money making system that will walk you through through the entire process of making a full time living from home. 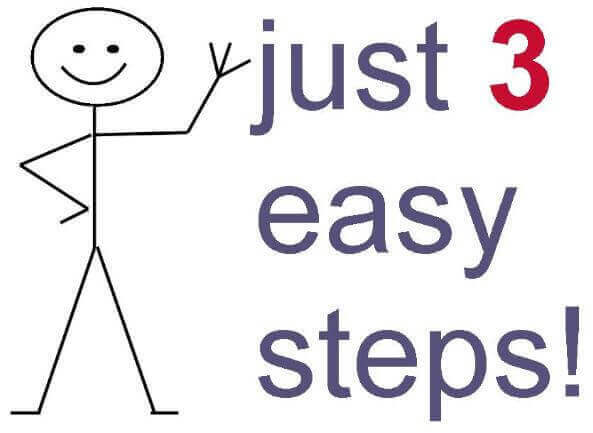 It’s very “step by step” so even if you’re a complete beginner… It’ll still work for you. In fact, I get a lot of beginners buying it and lot of them make a full time living off it in just a matter of 3 or so months of following the course. Thanks for sharing this James, it looks like a really good way of making some passive income. And to Pablo, the comment above me, if you want to make a full time income from home, just grab James’s EWF course… It really does work!! I’ve had it for about 6 months and I’m now making anything from $200 to $700 a day following what James teaches in his EWF course. It does require work but then again, everything worthwhile in life requires some effort at some point but the payoff in this case is massive. So if you’re serious and not scared of a bit of upfront work, then get it, it’s that simple!! Keep those videos btw James. Your videos are always epic!! And it’s awesome you’re getting amazing results, and it goes to show, putting effort into the right things… Really does pay off. I’ll have to hit you up some time Kris for a testimonial if you don’t mind? I would be more than happy to do a testimonial for you James. You should have my email now that I have left a comment so just email me and we’ll sort something out. I just gotta tell you, I love your energy, and WHAT you’re DOIN’ !! , I’m just a little slow, and need more bite size pieces, so I’m gonna try to grab this NEXT one, and see if it fills it all in for me. Thanks, a LOT, James ! ! ! ! I have a copy of the EWF course and i have say that it’s worth every penny, great stuff! When doing keyword research for the product names, finding theses keywords with a good monthly search volume is easy enough. The problem is most of these product name keywords have really high competition. Let’s say i want to sell laptops for example. I look at the product name like Compaq 15″ duel core blah blah…A lot of websites fighting for the first page for this product name are large, well known brands..
Would you still be able to get onto the first page of Google and outrank other more established sites with a few high Pr backlinks as mentioned in the video? Regarding your question – it’s possible but if it’s too competitive, I would recommend building your site around another niche/market… Especially if you’re new to this and you’re just starting out. As you get more experienced, then you can look at more competitive markets. This looks like another great idea James!! Thanks for all your excellent info and expertise by the way 🙂 I definitely want to give this a go. My only issue… at copyordie prices ($15-30 a throw), 20 articles/reviews is gonna run in at $500 or so which is a bit punchy for me. I had an idea though – buy dirt cheap fiverr articles and tweak them so they read better. Basically rewrite them using their basic article as a guide. Is that a goer do you think? Eh up, Graeme… Glad you enjoyed the video, mate. Regarding your question: you can buy articles from Fiverr.com, but you will need to edit ’em as the quality tends to be quite poor from Fiverr. Another place you can get articles from is the Warrior Forum – plenty of article writers at competitive prices to choose from there. Just on a side note: I would now recommend making your articles a minimum of 2000 words. In fact, the bigger the article, the easier they rank, plus it show’s up for a ton more long tail keywords, therefore bringing more additional free traffic. Also, I’ve got some video tutorials on how to get quality backlinks which could be a massive help for you too, mate. P.S. Yeah, tell me about it. Wish whiteboards came with built in spell checker too. It would save me reshooting a ton of vid I’m tellin’ ya lol. Sorry, what would you want to provide a testimonial for exactly? Well, apart from a little bit of time, you’ve got nothing to lose. Like I said – it’s free to get access and it’s free to implement too.